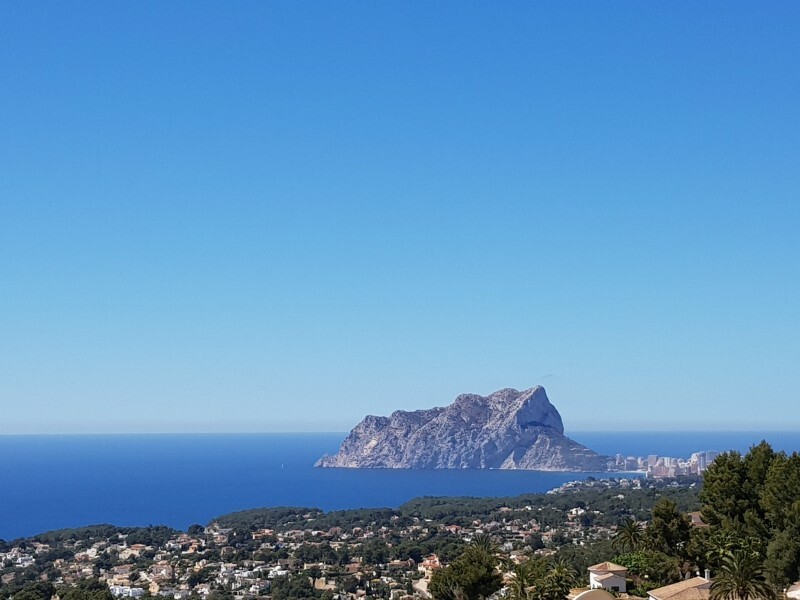 This luxury modern villa will have spectacular sea views, three bedrooms and four bathrooms and will be located on an inclining plot in the Benimeit area of Moraira, overlooking the Mediterranean sea from Moraira to Calpe. 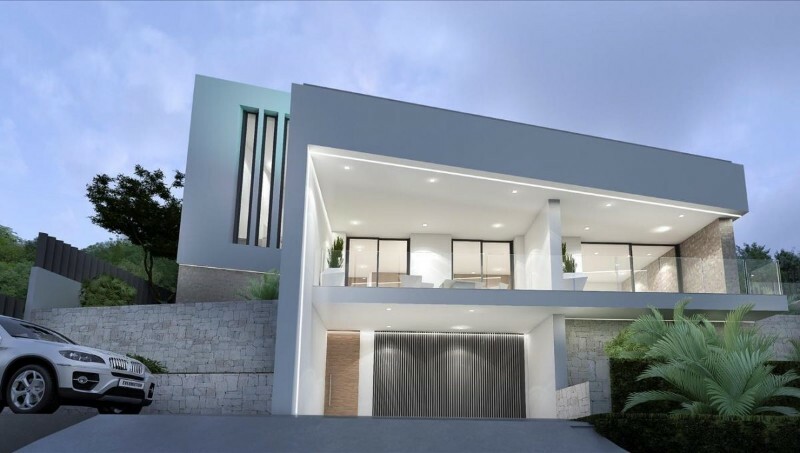 This project for a quality villa with a high specification is planned for 2019 and offers any interested client the possibility to redesign the villa and change the distribution to suit their requirements and lifestyle. 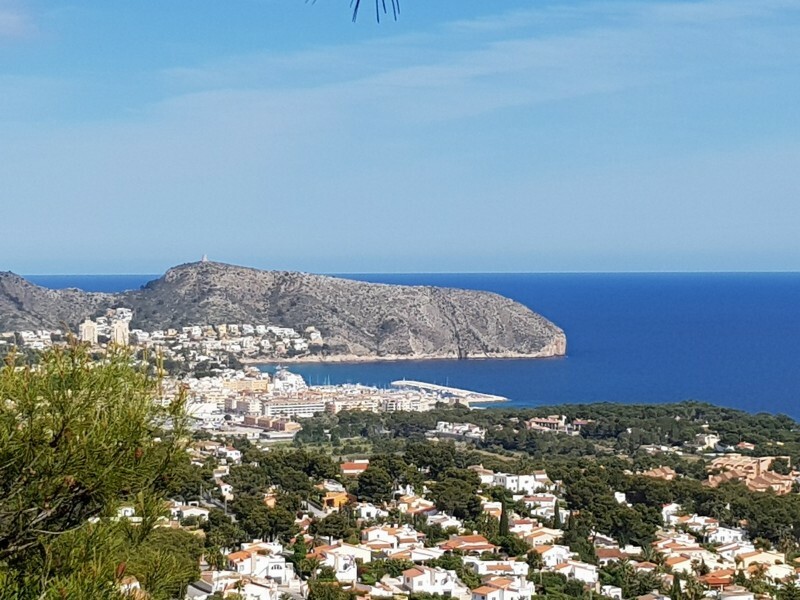 The villa will be constructed over three floors, it will have an elevator and a triangular shaped infinity swimming pool. The villa also has large open and covered sun terraces and a minimalist entrance door by the garage. 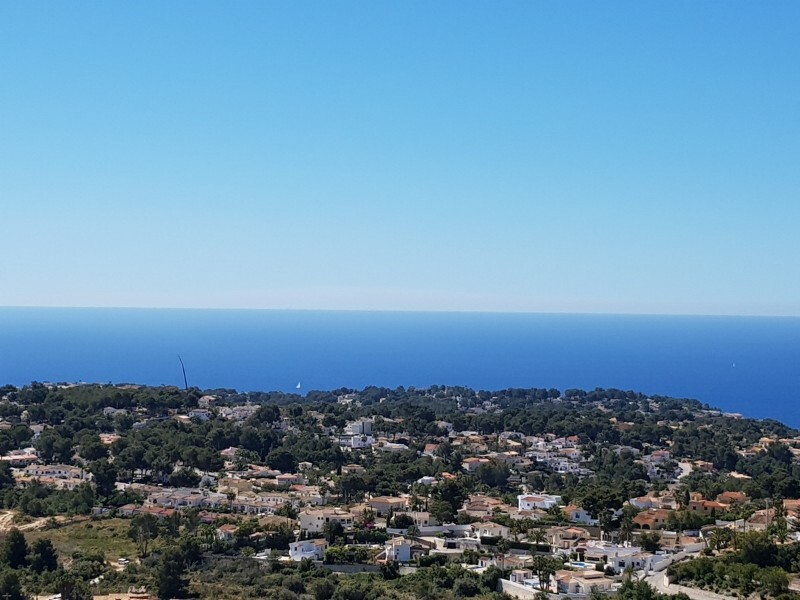 The main living area is designed to take advantage of the amazing views, with an open living/dining room including a log burner, a luxury minimalist open kitchen and access to the pool terrace, summer kitchen and chill-out zone. On this level there is also a guest bathroom. 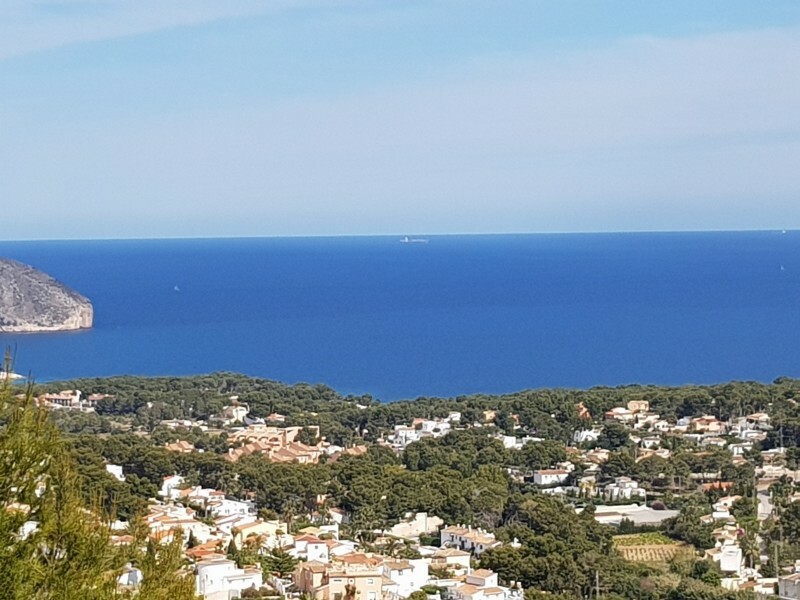 Three bedrooms, all with private terraces, and three bathrooms are situated underneath the swimming pool, one of which is the large master bedroom which has an en-suite bathroom and a private changing room, there is also a sauna, storage room and rear patio terrace. 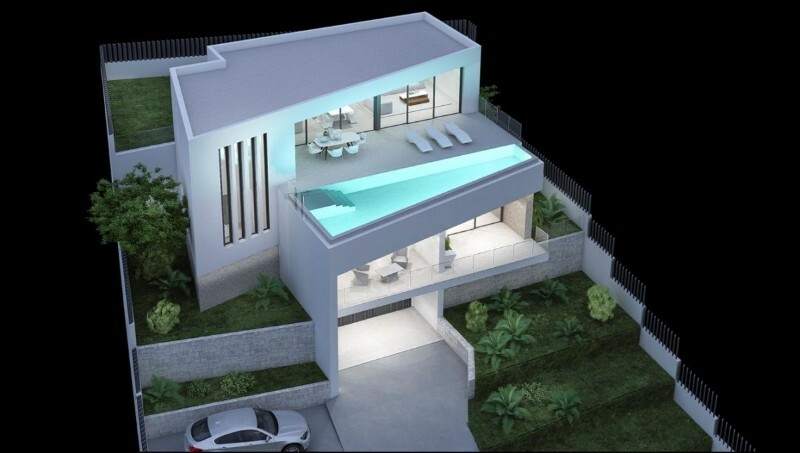 For further information about this wonderful villa or to see the plans please do not hesitate to contact us. The developer of this luxury villa offers bespoke properties that are totally unique. The precision design is prepared by an exciting architect who listens to your every wish and ensures the best use of the plot you select and the orientation of the sun. The construction is done using the very latest innovations and technology and they guarantee luxurious qualities, features and finishes. All of their properties are homes of the future, carefully designed to optimise your budget. 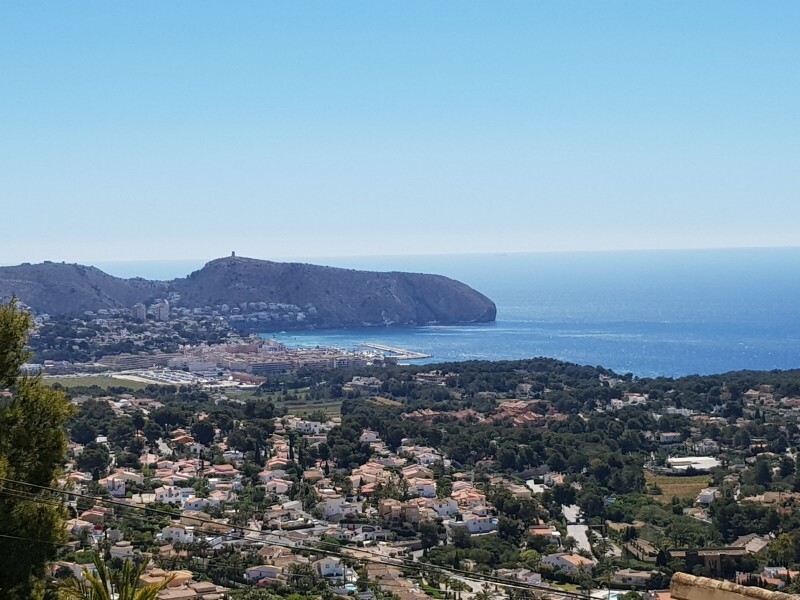 Should you wish to build a luxury home plots of land are available in Moraira, Benissa, Javea and Altea and if you already own a plot of land the developer will still be keen to assist. We will assist in any way we can and without obligation. The budget you specify will include everything you need and more. If you want your new villa to bring you total satisfaction and complete joy, look no further.